Replacement: None. 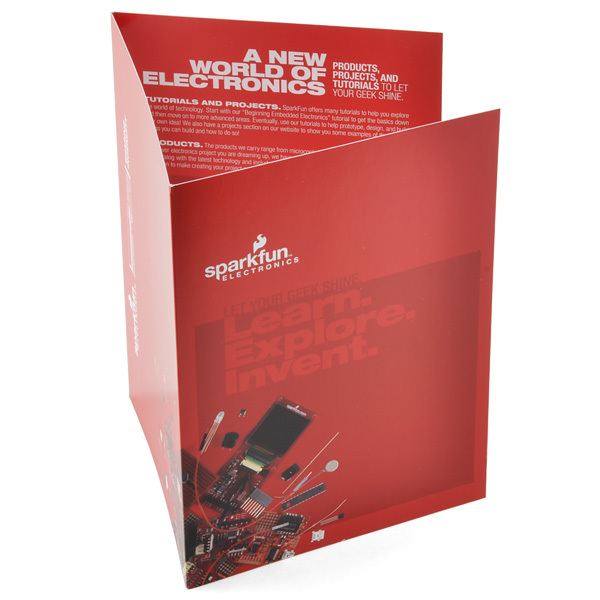 We are no longer carrying this brochure in our catalog. This page is for reference only. 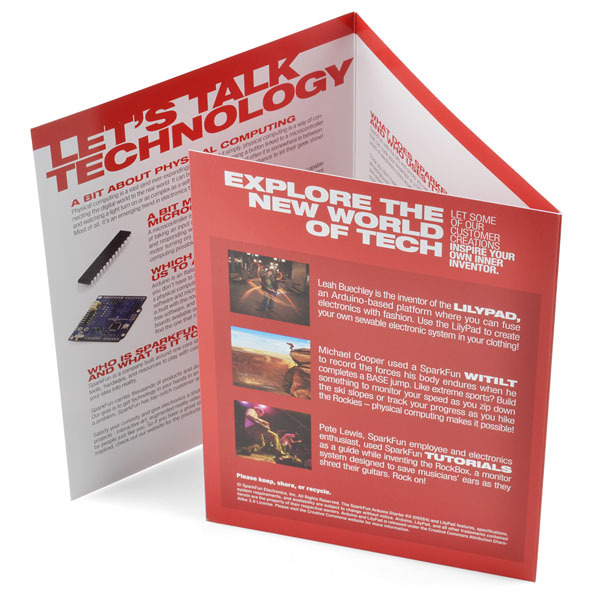 This tri-fold pamphlet is a great way for retailers to introduce the SparkFun brand from their retail displays. Have them for customers as informational take-aways. It is printed on glossy card stock. You can use the file below to print your own. If you don't want to print your own, you can get them from us.